New Leaf Society is working hard to cultivate a community that takes pride in the towns and cities of Alamance County. 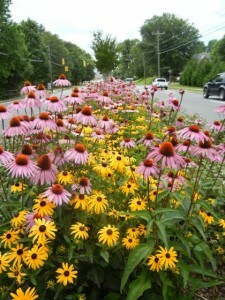 From small municipal park projects to high-visibility interstate beautification, New Leaf Society’s green thumb is at work, enhancing our quality of life and increasing the economic prosperity of Alamance County. If you have any questions about our work, would like to receive more information, or if you’re interested in partnering with New Leaf Society, please fill out the form below. If you’d like to contribute to New Leaf Society’s beautification efforts, donate online. Everyone who donates becomes a New Leaf Society member and receives our quarterly newsletter, a New Leaf Society decal, and invitations to our community events. Thank you for your interest in keeping Alamance County green and growing!